Male primates are known to cooperate together to gain greater benefits than they could achieve alone, such as access to females for mating or to increase their rank position in the dominance hierarchy. One of the most common ways they cooperate is through aggressive coalitions, whereby two or more males team up against another individual. These can be very intense and dangerous situations with a great deal of physical aggression. However, it has remained unclear who is being recruited to join a male in these coalitions and why? Two main theories exist, firstly a male should try to recruit a partner with the greatest strength to maximise their chance of winning. Or alternatively as these coalitions are highly aggressive a male may select a partner with a strong social bond (a “friend”) as they would be less likely to leave them in the lurch during the aggressive contest. To look at this we recorded all males who were around when a fight broke out and then which one was recruited to join a coalition. Males use a distinct facial expression and rapidly turn their head in the direction of the individual they want to recruit so we were able to easily decipher who was being selected. Knowing all the males who were in the immediate area when the fight occurred is a relatively unique aspect of the study and possible due to the openness of the oak and ceder forest in Morocco. We found that our males are very flexible in their strategies, they would recruit the highest ranked males on some occasions and the male with the strongest social bond on others. It seems when the fight was directly over access to females then males would recruit the highest ranked male available, this should be the strongest male and males would need a strong partner as fights over females are generally highly contested. We think males may recruit a strongly bonded partner (“friend”) when trying to rise in the dominance hierarchy as these fights usually require several contests to ware-down the higher ranked individual to rise above them in the pecking order so a male should select a reliable partner for this, i.e. a good friend. 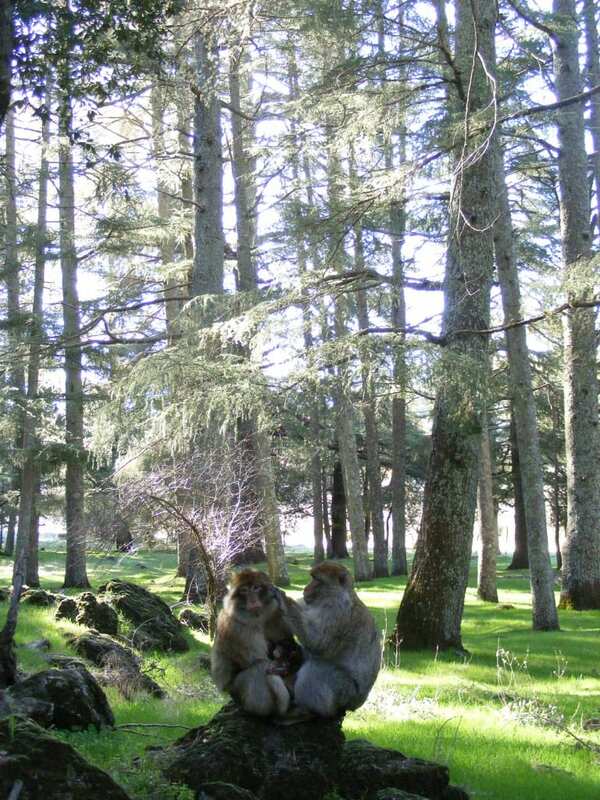 Another very interesting aspect we found is that male Barbary macaques do have long-term, strong social bonds with other males. This is unusual in male primates as they are usually unrelated in groups and are highly competitive fighting over females. So these friendships are less likely to develop in males than females. But our study males formed strong relationships with partners for two years of the study. 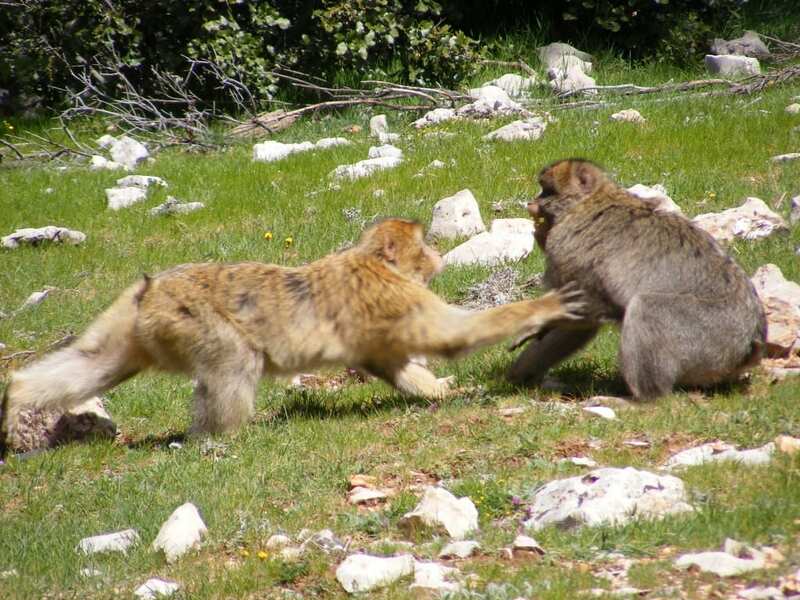 Strong social relationships generally provide primates with several benefits and it seems in Barbary macaques one of these is being able to recruit a reliable, trustworthy partner for high risk, dangerous fights. Conflicts are a risky business: better to have an ally whenever possible! This entry was posted in Publication and tagged publication, research. Bookmark the permalink.